I discovered my ex’s secret. Now I’ll do anything to win her back. I’ve enjoyed getting to know the characters in this series. Couldn’t put it down. Terrific second chance romance with all the feels! This is the second book in the More Than Words series and it was just as emotional as the first book. This book is a second chance romance and I was captivated by every word. I couldn’t wait to read this after reading More Than Want You. This book just broke my heart. All the lost time. Misunderstandings. Interference by jealous women. Don’t even get me started on the Reed family. I got a distaste for what the parents had done to Maxon, but they were equal opportunity asses to Griffin. What those parents did to their children, ugh! Griffin and Britta had a lot of baggage and they had a lot to work through. The one thing they had going was they both still loved each other, but could they move forward and be able to share their lives with each other and their son? Griff was so amazing with him and the instant love he felt for him. Oh the feels. I got a little choked up a few times. I really loved this story and how it interconnected with Maxon’s story and the surprise that came out of it. The story is so well written and I didn’t want it to end. I can’t wait for more! This is the second book in Shayla Blacks More than words series and this was a marvelous addition. Griffin Reed is trying to win back Britta Stone and his son Jamie after leaving them and making not being in their life for three years. With Keeleys helps and his brother back in his wife he tries to get to know his son. Watching the relationship was great between Jamie and Griffin and seeing how much Britta was really trying do what was right for her son but also try To keep her heart safe. 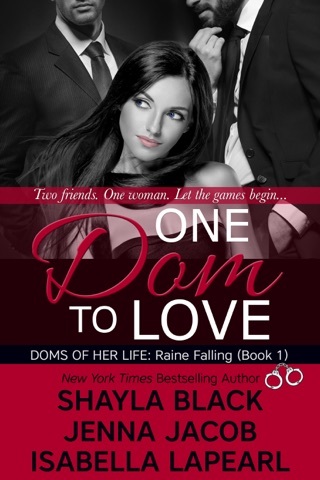 Shayla did a great job that you don't want to put this book down and you keep wanting more. Can't wait for Harlows book.